Sometimes it’s easy to think of Oregon’s forests as distant and removed–places meant for weekend escapes. The realities of how much our forests mean for our day-to-day lives can be striking. When we’re grilling salmon, breathing clean air, building additions to our homes, we’re using forest products. 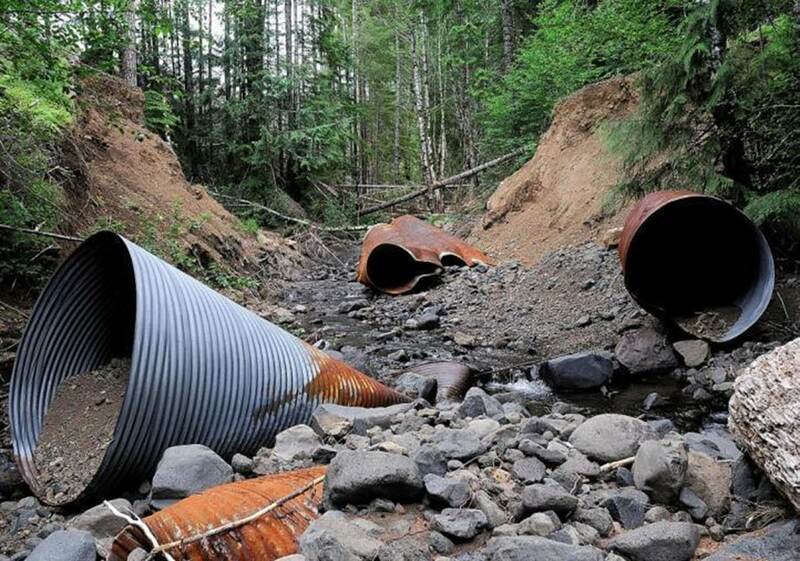 One of the most important forest products in Oregon is clean drinking water. Most of the faucets, taps, and spigots in northwest Oregon have connections to the Tillamook and Clatsop State Forests. Having a publicly-owned, temperate rainforest in our State is unique to Oregon, and this landscape provides drinking water to over 400,000 people. However, mismanagement of these lands threatens the quality of that water, our health, and our quality of life. Herbicides, silt, and high temperatures can all be attributed to inadequate stream buffers and an over-ambitious timber harvest program. While logging is an important part of Oregon’s economy, culture, and history, overdoing it compromises the other amazing benefits we receive from our State Forest lands. Our State Forests need a balanced management plan! Roughly 75% of Washington County residents get their drinking water from the Tualatin Valley Watershed, which begins in the Tillamook State Forest and flows into the Willamette Valley. 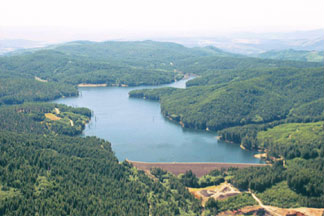 Hillsboro, Oregon’s 5th most populous city receives its water from Barney Reservoir on State Forest land. Other recipients of State Forest-influenced water include Beaverton, Forest Grove, Banks, Tigard, Tualatin, North Plains, and soon Sherwood. Communities in Tillamook County and Clatsop County, deeply tied to the forest product economy, also rely on these forests. Cities including Tillamook, Seaside, Garibaldi, Bay City, Manzanita, and Nehalem also collect water downstream of State Forest watersheds. Post clear-cut herbicide application can lead to carcinogens entering water sources. Timber harvests on steep slopes produce water-blocking landslides and can dirty waterways with sediment. Small stream buffers mean an inadequate amount of shade and woody debris in our rivers and streams. An expansive, expensive, and ill-maintained logging road system means silt and water flow disruption. These are just some of the water quality problems stemming from a timber-centric management plan. In order to provide Oregonians with the Greatest Permanent Value, our State Forests need to be managed with an eye towards all of their inherent qualities, not just timber. Clean water requires adequate stream buffers, protection for steep slopes, and special consideration for important reservoirs. In short, our State Forest landscape needs permanent Conservation Areas that provide water quality assurances, support healthy fish and wildlife habitat, and allow us to recreate in places of spectacular natural beauty. Tell Governor Kitzhaber and the Board of Forestry that any new Forest Management Plan needs superior conservation outcomes! North Coast State Forest Coalition Documentary!! !